The Tarasconi Codex is a unique manuscript containing over two hundred polyphonic works composed by top composers from Italy and around Europe. Now housed in the library of the Milan Conservatoire, the Tarasconi Codex was copied in the second half of the 16th century at the court of Parma, where many instrumentalists were employed including the famous organist, Claudio Merulo. It is unusual not only because it is notated in score – an unusual format for that time, but despite containing pieces originally composed for voices, is completely untexted, making it likely that the pieces were intended to be played by instruments. 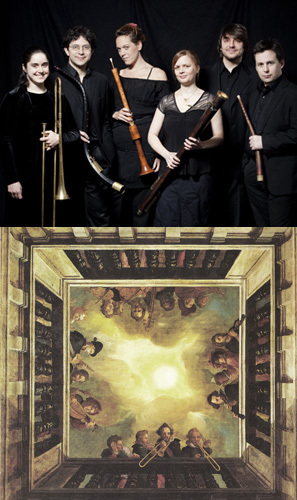 Ensemble I Fedeli performs these pieces in a typical 16th-century wind band formation involving a variety of instruments: cornetto, tenor cornetto, shawm, alto and tenor bombard, sackbut, alto and bass dulcian. 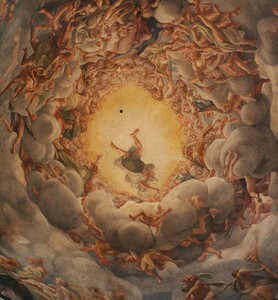 According to 16th-century performance practices, the musicians embellish their parts with virtousic diminutions, sometimes borrowed from the treatises of masters Dalla Casa, Bassano or Bovicelli, and other times using their examples as inspiration for their own sponaneous ornaments.